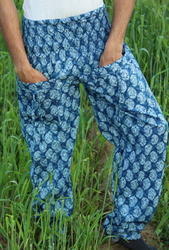 Block Printed Plazzo Trousers. We make a soft quality plazo...Plane and Printed . our Moto Clints satishfucations. all garments we makes in block printed fabric. we manage quality cantrol. Looking for Printed Plazzo ?